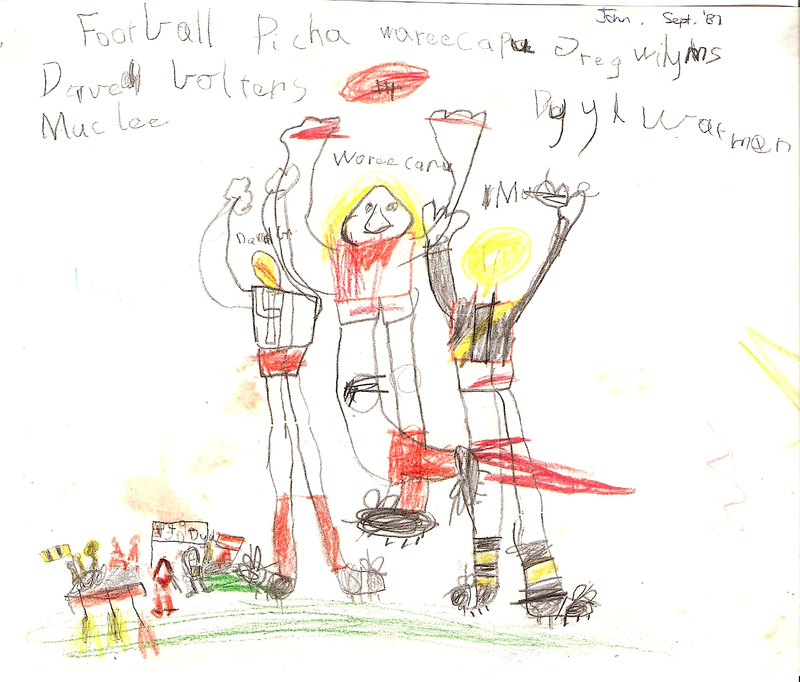 This entry was posted in Boots Happy Snaps and tagged 1987, afl, child drawing, football, New Season, Richmond, Swans, Sydney, Tigers by theholyboot. Bookmark the permalink. Soooo glad to be of use! I knew that keeping and dating special things my children did would be appreciated one day!!! Between you and your young brother, there are a few footy pics and stories….